None of your personal information will be shared with third parties. 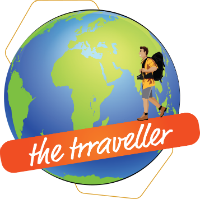 the traveller may use your e-mail address in the future to contact you regarding the site, however, an opt-out is always provided. Your name and website may be displayed on the site if you post a comment or a message. However, your e-mail address and privacy will always be kept secure. If the traveller chooses to send out newsletters in future, and I have your email address on my list, you may receive a copy of the newsletter. However, there’s always a way to opt out at the bottom of every newsletter.